Dorothy Evelyn Petrel, 91 of Eldersville made her way to Heaven on October 7, 2018. She was born May 22, 1927, in East Liverpool, OH, a daughter of the late Dudley Myers and Esther Bane. Mrs. Petrel worked at Colliers Steel for 34 years as a welder on the caulking gun line and a production inventory clerk. She was a member of the Eldersville United Methodist Church and the Jefferson County Historical Society. Mrs. Petrel’s passion was cooking, especially for church dinners and events. In her younger years, she enjoyed traveling both here and abroad. Her favorite trip was attending the Oberammergau Passion Play in Bavaria, Germany. Surviving are her three children, Cynthia (Gary) McCuen of Burgettstown, Pamela Petrel of Wheeling, WV, and Mark (Nancy) Petrel of Eldersville, her five grandchildren, Denise (William) Cherenko, Gary (Tammy) McCuen, Jim (Lori) Petrel, Jamie Petrel and Jenna (Joe) Denton, five great-grandchildren, Jacob McCuen, William and Nicholas Cherenko, Sabrina and James Petrel, III, three brothers, Harvey (Marie) Bane of Georgia, Richard (Velma) Bane of Maryland, and Thomas (Elizabeth) Bane of Eldersville, two sisters, Louise Sonnenberg of California and Valerie (Frank) Fish of West Virginia, and a very special friend of 75 years, Dorothy Muzopappa of Weirton, WV. Deceased in addition to her parents, are her loving husband, James Howard Petrel, two brothers, Donald E. Bane, and Dudley Myers, Jr.
Friends will be received from 2-4 and 6-8 p.m. Friday, October 12, 2018, in the Young Funeral Home & Cremation Services, Inc., Taucher Chapel 23 Erie Mine Road, Burgettstown, where services will be held at 9 a.m. Saturday, October 13, with Pastor Joel Peterson officiating. Interment will follow in Fort Steuben Burial Estates, Steubenville, OH. 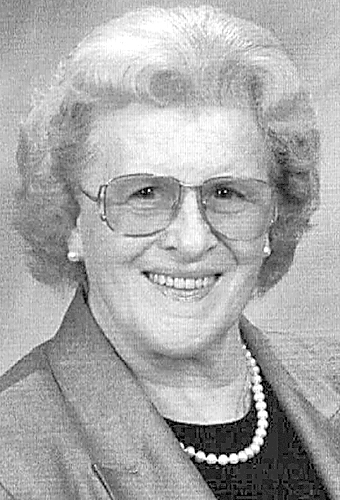 In celebration of Dorothy’s life, a dinner will follow at the Eldersville United Methodist Church.